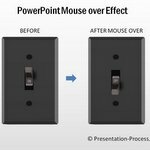 Learn 4 exciting new ways to use spin custom animations for PowerPoint and liven up your business presentations. Before we show you the creative uses of ‘spin’ custom animation, we want to solve one of the biggest and the most irritating issues with spin animation. The needle spins around itself, because the pivot is in the centre. This animation in itself isn’t very useful. How do we solve this issue and make a useful animation? The simple trick of resetting the pivot has freed us from the limitation of using spin custom animations for PowerPoint. You can use spin animation to represent timeline. All you need to do is to choose the right units to represent timeline and appropriate rotation angle for the needle. 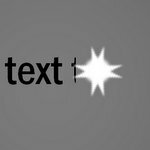 The power and usefulness of a custom animation feature rests in the hands of the presenter. Any animation can add strength and interest to your message if done the right way. 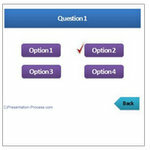 The example templates you saw above are from our PowerPoint Charts and Diagrams CEO Pack . 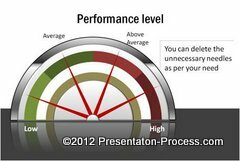 The pack has 750+ chart templates exclusively for business presenters. Each template is unique. 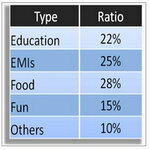 Why spend hours creating elegant slides when you can achieve great results in minutes with our diagram templates?